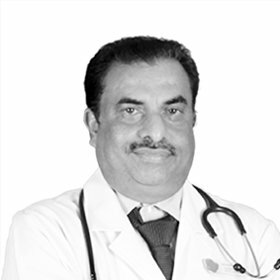 Dr. Abdul Raoof is a Specialist in Internal Medicine with an experience of more than 20 years. He has managed both outpatient and inpatients including critical care units, intensive care units, and emergency units. His areas of interest include diabetes, hypertension, thyroid disorders, asthma, nephrology, and infectious diseases. Dr. Abdul Raoof completed his MBBS in 1989 from Dr B.R. Ambedkar Medical College [Bengaluru, India] and went ahead to pursue his MD in Internal Medicine J.J.M. Medical College (Davangare, India) in 1995. Prior to joining Amber Clinics, Dr. Raoof was working as Senior Registrar at Armed Forces Military Hospital, Kuwait which is a 250 bed hospital catering for Armed Forces staff and their families. During his tenure in Kuwait, he has treated patients with multiple comorbidities including disabilities due to advanced Cardio-Respiratory, Cerebrovascular Diseases, Nephrology patients requiring Hemodialysis and patients with complicated Diabetes Mellitus and other chronic diseases. He has also worked as Registrar in Medical Trust Hospital [Kerala, India] and as Resident in Sree Sudheendra Medical Mission Hospital [Kerala, India].